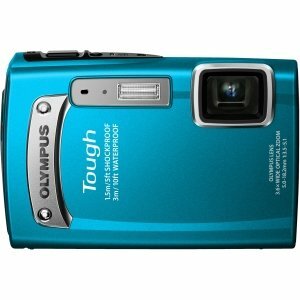 Amazon's Gold Box Deal today is for an Olympus TG-320 14 MP Tough Series Camera in blue for only $99! Original list price for this is $159.99 and was on sale yesterday for $122.40. They dropped the price even lower so grab it while you can! Plus, it's eligible for FREE shipping. 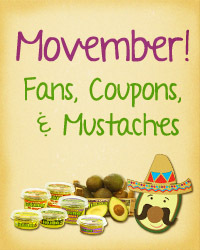 Yucatan Guacamole is working with their Facebook fans this month to help find a cure for cancer! Head over to the Yucatan Guacamole Facebook Page to give them a “Like” and you'll get a printable coupon for $1.50 off any one (1) Yucatan product! For every “Like” Yucatan gets during the month of November, they will donate 50 cents to cancer research! So give a little bit of your time and know that this holiday season, you’re making a difference! Click the image to get your $2 OFF printable coupon for Air Wick! 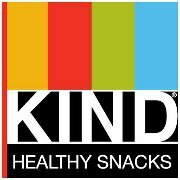 Wow - hurry over [HERE] and take the No Secret Ingredients pledge to receive a coupon for $0.50 off 1 Nuts & Spices KIND bar! Be one of the first 100,000 to snag this FREEBIE! MINNEAPOLIS--(BUSINESS WIRE)--Looking for a delicious and flavorful gluten-free breakfast option? You’re not alone – according to a survey* conducted on behalf of Chex®, a quarter (24%) of Americans are looking for a gluten-free option when buying cereal for themselves or their families. Luckily, Chex has it covered with new Apple Cinnamon Chex, the latest addition to its line of gluten-free cereals. Apple Cinnamon Chex offers families a simple and great-tasting breakfast they can feel good about for the rest of the day. Sprinkled with real apple and cinnamon, new Apple Cinnamon Chex delivers a delicious start to the day. It’s sure to be a hit at the breakfast table, as two-out-of-three (67%) Americans agree apple cinnamon is a flavor combination their whole family enjoys. All Chex cereals have more whole grain than any other ingredient, and 77% of Americans say they look for whole grain in their cereal. With nine grams of whole grain per serving, and no artificial colors or flavors, Apple Cinnamon Chex provides key nutrients, vitamins and minerals to start the day on a high note. The majority of Americans (88%) say finding something flavorful is their number one consideration when searching for something for breakfast. With six delicious, gluten-free Chex cereals to choose from – including Rice, Corn, Honey Nut, Chocolate, Cinnamon and new Apple Cinnamon – it’s easy to find something the whole family can enjoy! Chex gluten-free cereals are available on cereal shelves nationwide for an average retail price of $3.39 per box. New Apple Cinnamon Chex will be available starting in July 2012. To learn more about gluten-free Chex cereals, visit Chex.com/GlutenFree. Chex cereals, made by General Mills, have been a family favorite for decades. Today, General Mills makes a total of eight delicious Chex cereals, including six gluten-free flavors – Rice, Corn, Honey Nut, Chocolate, Cinnamon, and Apple Cinnamon – as well as Wheat and Multi-Bran, which are not gluten-free. To learn more about Chex, visit www.Chex.com. General Mills is one of the world’s leading food companies, operating in more than 100 countries. Its consumer brands include Cheerios, Fiber One, Häagen-Dazs, Nature Valley, Yoplait, Betty Crocker, Pillsbury, Green Giant and Old El Paso. Headquartered in Minneapolis, Minnesota, USA, General Mills had fiscal 2011 net sales of US$14.9 billion. The referenced survey was conducted via the CARAVAN® omnibus survey by Opinion Research Corporation May 10, 2012, and presents findings from a sample of 1,000 men and women, 18 years of age and older. Interviews were weighted by age, geographic region and race to ensure reliable and accurate representation of the total population. Coupon Codes for Canadian Shoppers! Many of you know I live in Maine which is often thought of, for all intents and purposes, as being Canada. (Trust me, it happens more than you'd think.) Although we have several Canadian shoppers come down and frequent our local retail stores, I can't help but wonder if there may be better deals if shopping online. Since I'm not a Canadian shopper, but have many readers that are, I wanted to pass along some information I was recently introduced to. If you're looking for some of the best online promo codes for Canada to help keep your wallet from screaming at you each time you make a purchase, check out couponcodes.ca for the latest online deals! In addition to great online stores such as Puma, Dell, Cabela's, Canadian Cartel, and Vista Print; couponcodes.ca also has exclusive offers for Toms shoes - you know that awesome company that gives a pair of shoes to a child in need for every pair purchased. I've also been dying to purchase a pair of Toms! And, couponcodes.ca is also privy to new discounts for Sears.ca! If you're looking for a place that provides up to date coupon codes and discounts for Canada make sure you check out couponcodes.ca! 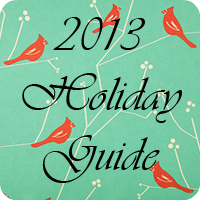 Browse by Category, Top 50 Deals, Exclusive Discounts, or New Discounts. And, if you still can't find what you're looking for, definitely use their search bar. Maybe that stellar deal you're looking for is in hiding waiting for you to discover it! *I was compensated for my time writing this post. All opinions are 100% mine. See Disclosure Policy. I love this coupon! Head over [HERE] to get a BOGO FREE Frozen Drink Coupon from McDonald's! This coupon doesn't expire until 7/31 so you've got plenty of time to use it. 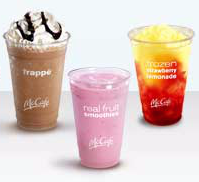 Just purchase any McCafe Real Fruit Smoothie, Cherry Berry Chiller, Frappe, or Frozen Strawberry Lemonade and get one of equal or lesser value for FREE! Love Wholly Guacamole and Salsa? 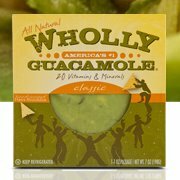 Then head over [HERE] to their FB page to print their $1.50 off ANY Wholly (salsa & guac) item coupon. It has temporarily been upgraded to $1.50, but will switch back to $1.00 on Thursday. We have three children we need to buy clothes for on a regular basis. Between new shoes every few months, pants every 6 months or so, and shirts every 12 months our wallets are hurting. Anybody else have this problem? And, while I don't mind shopping at Goodwill, I do enjoy buying new things for my kids that aren't outdated fashions. I try to be very careful about how much I'm spending, and I only shop when the sales are fabulous - I'm talking 50% off with free shipping type sales. 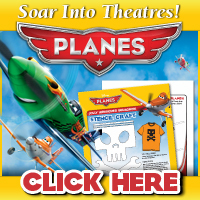 I was recently introduced to this great site , and I was completely blown away with their variety of stores and discounts they have continuously listed on their site. I was browsing and found stores I had never heard of along with the stores I shop regularly. There are hundreds of stores listed, many are big name brands, and others are smaller discount stores. The stores listed on CouponCodes4u in the children's clothing section include Zulily, Hatley, Carters, Umi, Babies R Us and so many more - There are even 12 listed Promo Codes for Tillys here! Don't get me wrong, this isn't just a site for children's clothing. There are discounts listed for just about everything. My favorite aspect of the site is that you can browse discounts by how new they are, how popular they are, or just by category. There is even a large search bar at the top where you can quickly search for something you're looking for instead of taking the time to browse around. I know as a mom I have very little uninterrupted time to shop online, so finding what I'm looking for quickly is awesome. And as I've said 1,000 times I'm a huge sucker for free shipping. CouponCodes4u has an entire section dedicated to free shipping deals. If I don't have to drive to the store, or pay for shipping, I'm generally sold. It's always great to share the wealth, especially when it's parents helping other parents save money, so if you have a discount code you've stumbled across, you can submit it to CouponCodes4u! If you're planning to shop online, make sure you give this site a good look-over, because you may just find a coupon code you weren't even expecting. I was compensated for my time writing this post. All opinions are 100% mine. See Disclosure Policy. Hurry and grab this coupon because it expires 05/15! This is good for $1 off any size McCafe, Cherry Berry Chiller, Frappe, Real Fruit Smoothie, or Frozen Strawberry Lemonade. Get it [HERE]!